Meta keywords were one of the early meta tags, but as it is something that could easily be spammed, search engines started to phase out its usage over the years. And some search engines still use it and many CMS still have that section active for site owners to add to pages. But because meta keywords has been so heavily spammed over the years, could Google now be seeing it as a spam signal, at least when it does seem to be spammed? Gary Illyes from Google addressed it on Twitter, and it is not a spam signal. 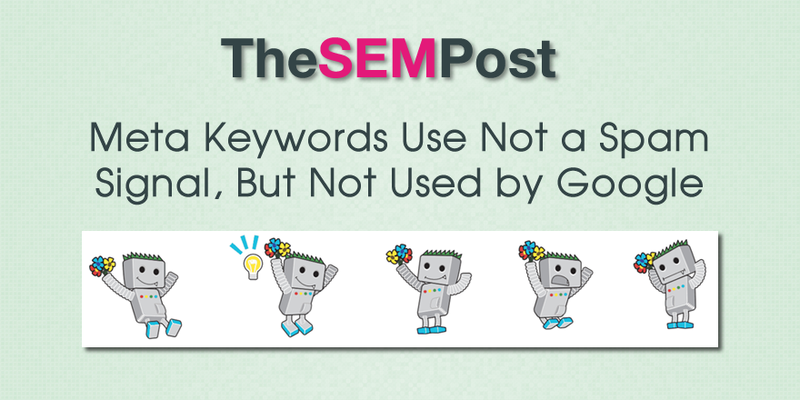 While the meta keywords tag is very abused, many SEO plugins and CMS platforms still have areas or sections where they ask for meta keywords to include with each page or post. And many less savvy site owners might not know that Google no longer uses the keywords meta tag. And it is further complicated by the fact some other search engines still use it for their own search algos. It also means those with legacy sites don’t need to worry about removing old meta keyword tags on older pages, since it is not used as a negative signal.